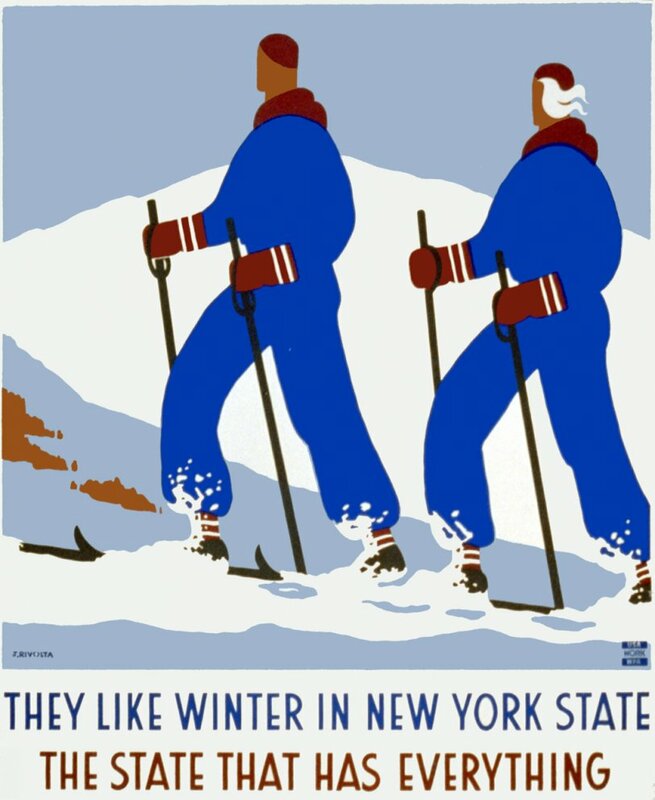 A Federal Art Project poster promoting winter sports in New York: "They like winter in New York State. The state that has everything." 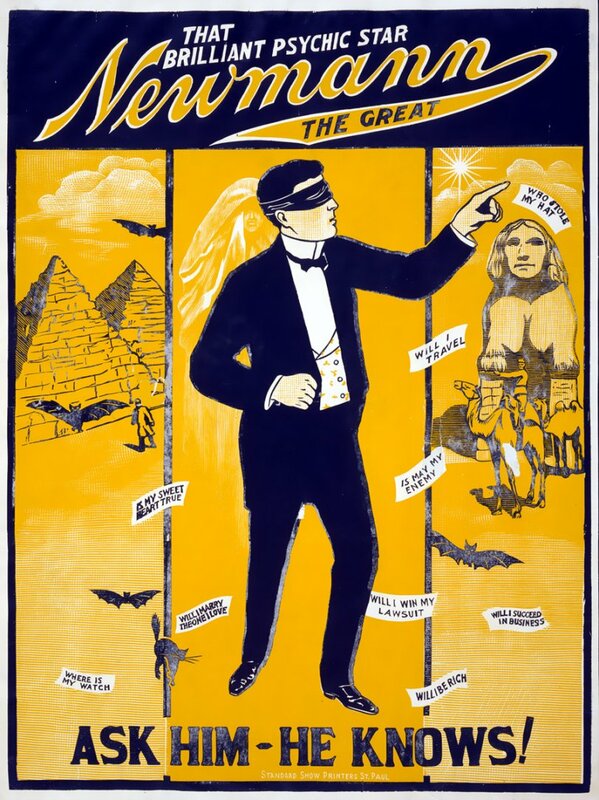 The poster was created by Jack Rivlota between 1936 and 1941. View full size. 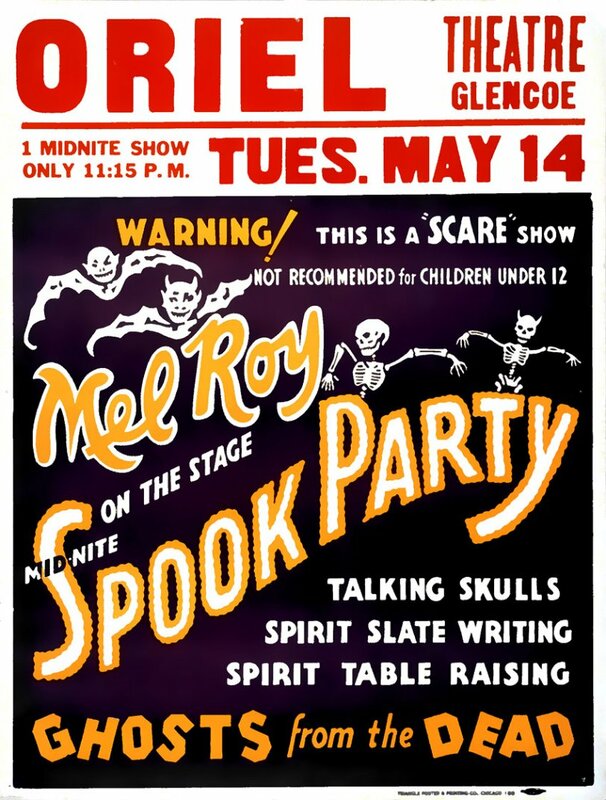 The spirits do come back, if you stay for the second show. 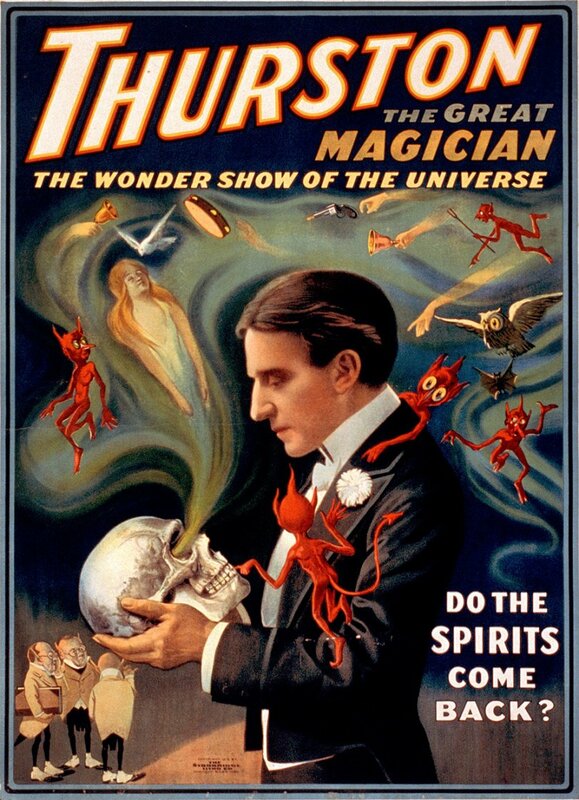 1915 poster advertising an appearance by the magician Howard Thurston (1869-1936), the "King of Cards." Strobridge Lithography, Cincinnati & New York. View full size. 1913 (?) 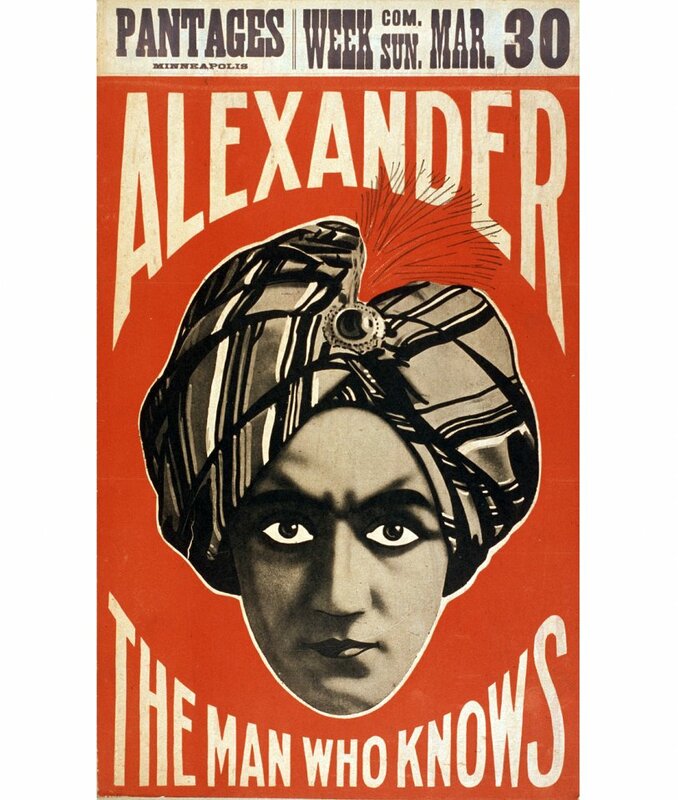 poster advertising a Minneapolis appearance by Claude Alexander, one of the most famous (and wealthy) mentalists of his time. View full size. A Federal Art Project silkscreen poster from 1941, one of a series of public health graphics so attractively designed, they almost seemed like ads for VD. View full size. Get it while it lasts ... Spread the message with this fine-art print. A silkscreen WPA Art Project poster for the Illinois State Library Project circa 1940. View full size. Available as a Juniper Gallery fine-art print.